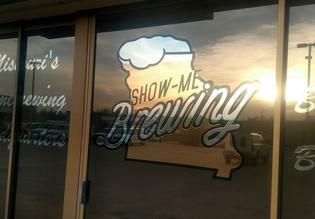 Custom Shade provides and installs a wide selection of decorative films in the Springfield, MO area. 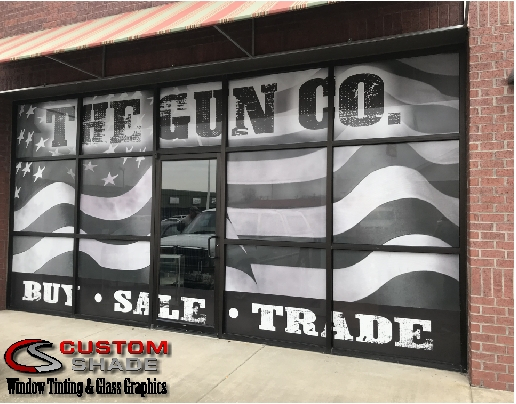 Peek into the bevy of glass graphic services available at Custom Shade Window Tinting & Glass Graphics. Custom Shade moreover offers white ink and color printing – in varying opacities – on glass films. Transform plain glass into extraordinary works of art. 3M offers several patterns and shade transparency levels to give your office or home a custom look. Add the 3M Fasara decorative film to a glass table and turn it into a conversation piece. Can people at your front door see inside your home as they wait for you to answer the door? 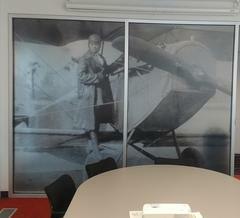 3M decorative window films provide different levels of privacy to occupants in homes and office buildings. Request an in-home consultation from our decorative glass installers in Springfield, Missouri. 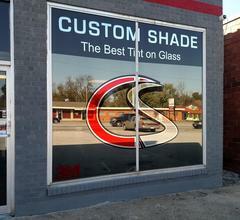 Custom Shade is the only Solar Graphics window film dealer in Springfield, MO. Solar Graphics features a dazzling display of color options. There are more than 40 hues to choose from. Plus, these can be layered to create unlimited color options. 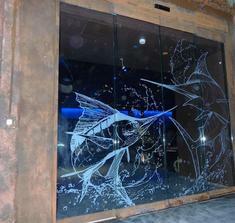 Solar Graphics is great for designing custom glass graphics on storefronts. However, their applications aren’t limited to storefronts alone. Use for schools, churches, and other places of business to showcase your brand or cause. Colored films have a richness that no other material can duplicate. The most appealing part of using tinted and transparent window films for graphics is that you don’t lose any visibility from the inside looking out. Solyx offers hundreds of patterned, textured, and gradient films, including stained glass window films. SimGlas Finishes, which are manufactured by SOLYX, give your glasses a very cool antique look using different textures of clear finishes. Combine patterned with textured films on one window pane to create a one-of-a-kind design. 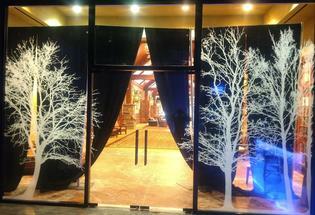 For meticulous applications of decorative glass and window films, turn to Custom Shade Window Tinting & Glass Graphics. 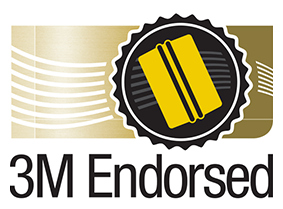 We are always thorough, professional, and reliable – and guarantee your 100% satisfaction. Custom Shade is Very Honored to be a part of helping recreate the skylights for the Boone and Crockett National Collection of Heads and Horns displayed at Wonders of Wildlife in Springfield, MO.